Lindbergh schools! 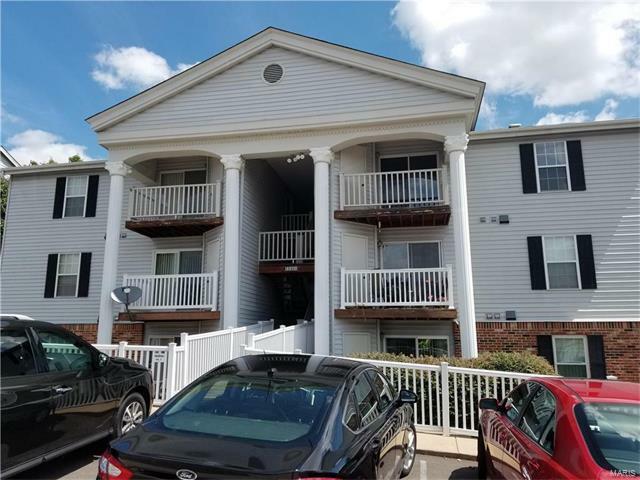 Move right into this Two Bedroom/Two Full Bath Somerset Place condo! This Main Floor unit is one of the few in the building that has a view of common ground from your private deck;complete w/storage-enough green space to play! The assigned parking space is directly in front of the unit w/plenty of guest parking. Kitchen features stainless steel appliances w/all new countertops, sink/faucet, backsplash & dishwasher in 2017. Both bedrooms are quite large & have walk-in closets. The master bedroom has a private full master bath that has been completely rehabbed w/installation of new showers, pedestal sink, toilet & ceramic tile in 2017. New flooring thru-out, white trim & 6 panel doors, Fresh paint, nest thermostat & all appliances stay! Complete w/your own personal laundry right in your home-main floor utilities area can accommodate front loading or stackable units! AHS Home Protection policy in place, plus 1 year of buyer coverage. Passed occupancy inspection! I-270 to South on Tesson Ferry Rd., Left on Mattis Rd, Left on Somerset Place. 1st Building on the Left.